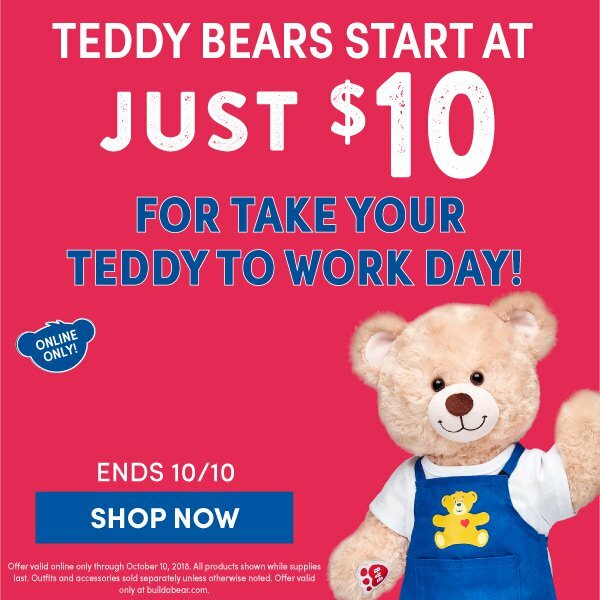 Build a bear is having a flash sale offering 5 bears at $10. 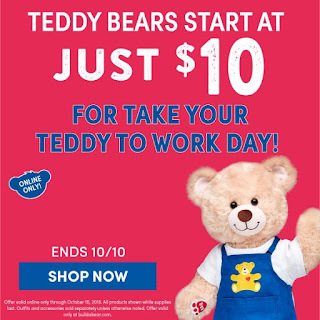 The best deal is the midnight bear which regularly sells for $15. The sale is for today only.